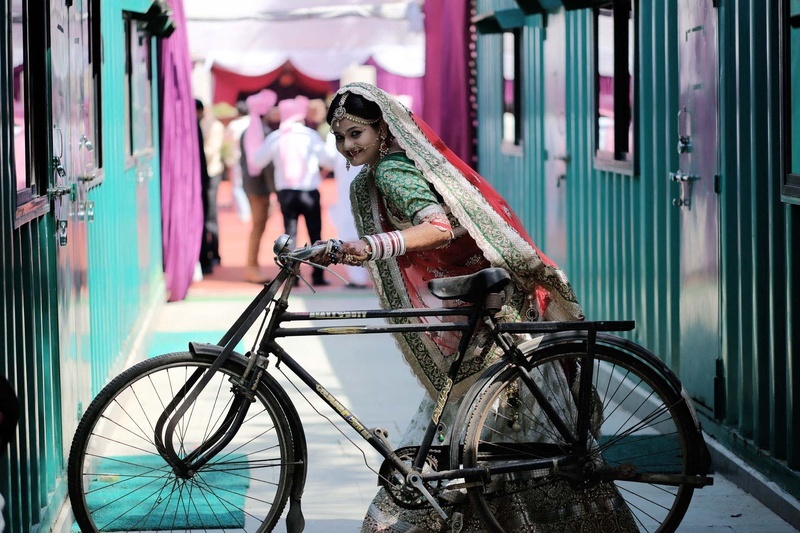 Komal and Chintal used distinct and unique props like a bicycle, black shades, Komal’s jewel studded footwear, mini houses adjacent to the wedding venue and many more elements for their photoshoot. 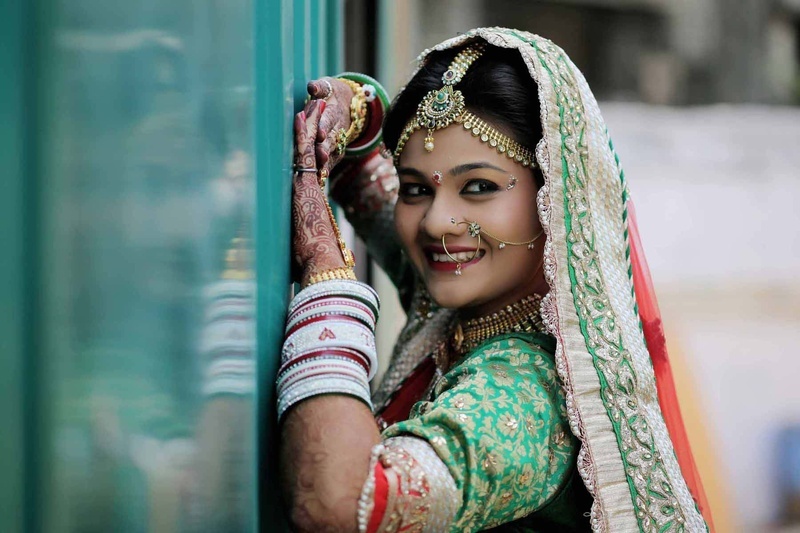 In each pre and post wedding photograph they experimented with numerous poses and expressions. 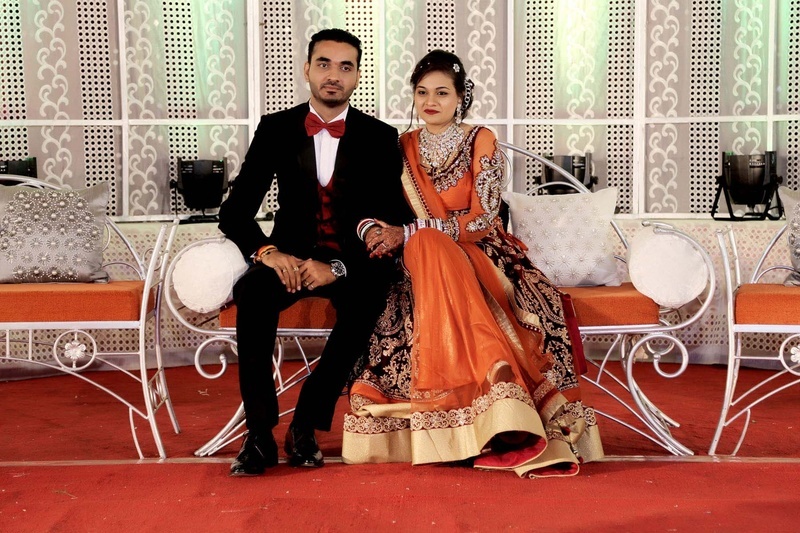 Komal’s designer wedding lehenga had beautiful tones of mint green, red and cream. 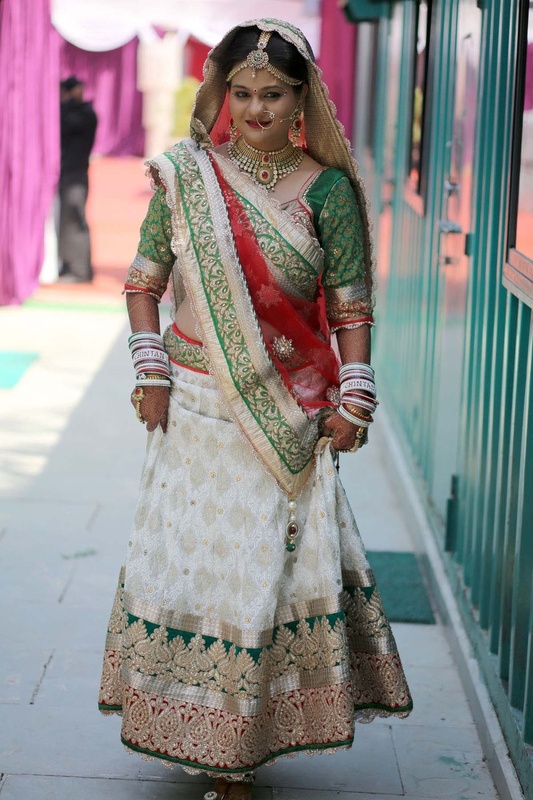 From top to bottom the entire lehenga had rich and impressive embroidery and border. Her accessories too stood out in every picture. She wore a delicate nath that was studded with diamonds. 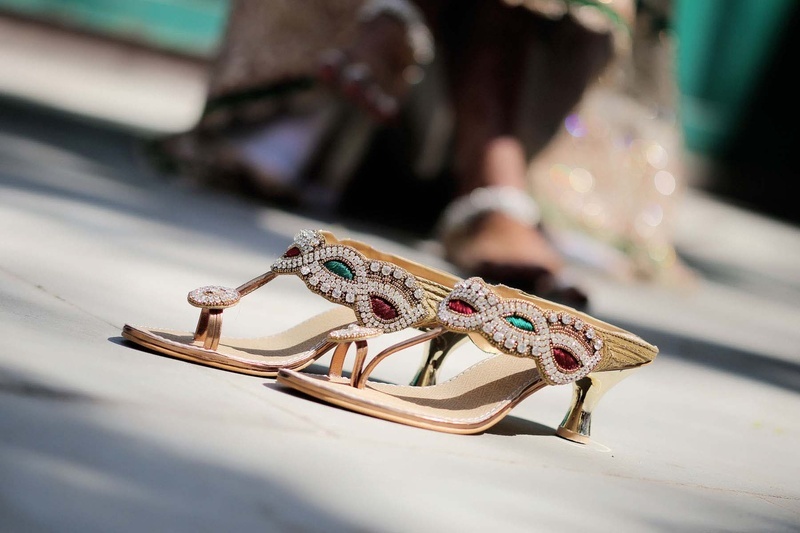 Her mathapatti had embellishments of gold and pearl. 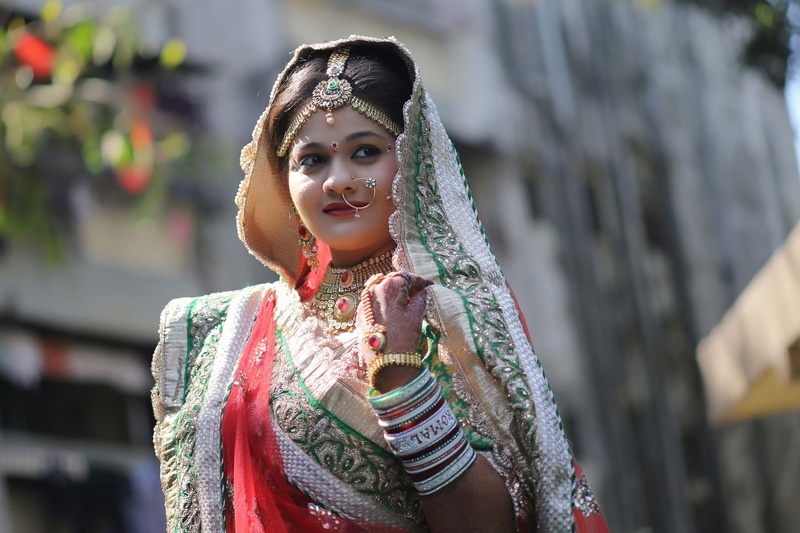 The haathphool on her mehendi design had detailed and deep gem work. 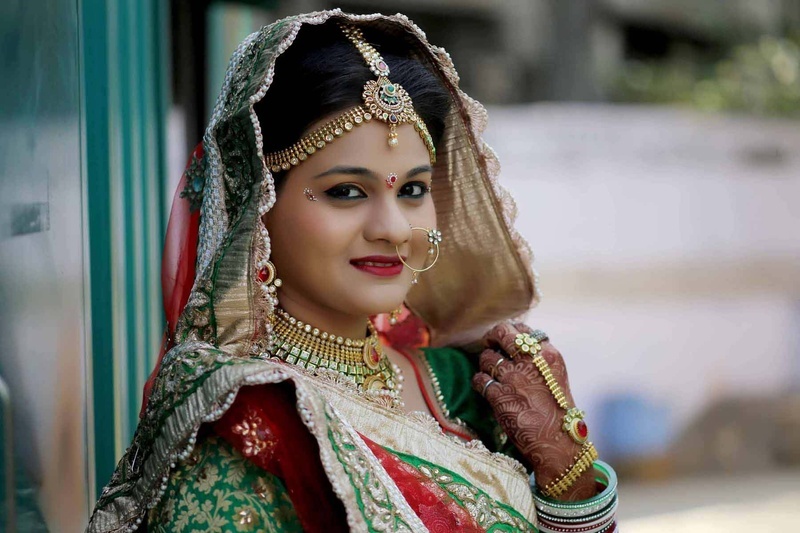 Chintal wore an ethnic shervani with a maroon velvet dupatta and a unique styled safa. It was hillarious to see him put a lot of efforts pedalling the bicycle, with Komal sitting at the rear seat. 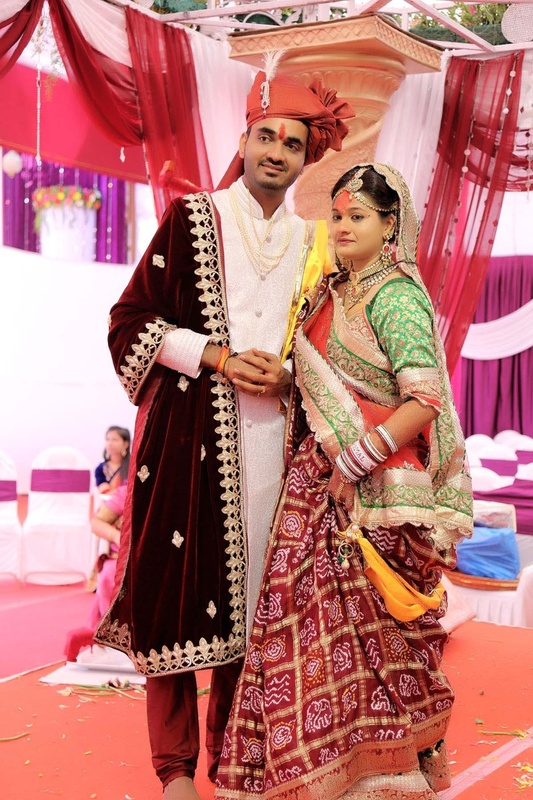 For the post wedding photoshoot, Chintal looked dapper in his black tuxedo that was teamed with an inner red coat and an elegant bowtie. 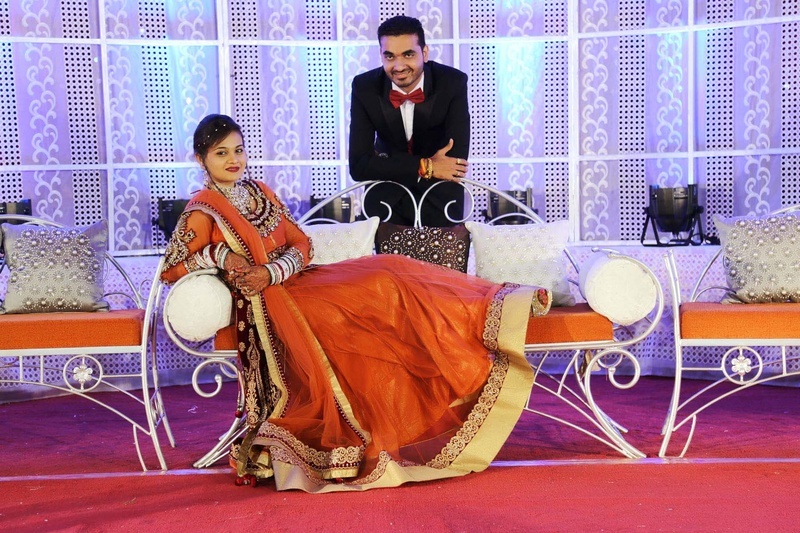 Komal fluanted her excellent designer orange lehenga by posing ike a royal Princess. 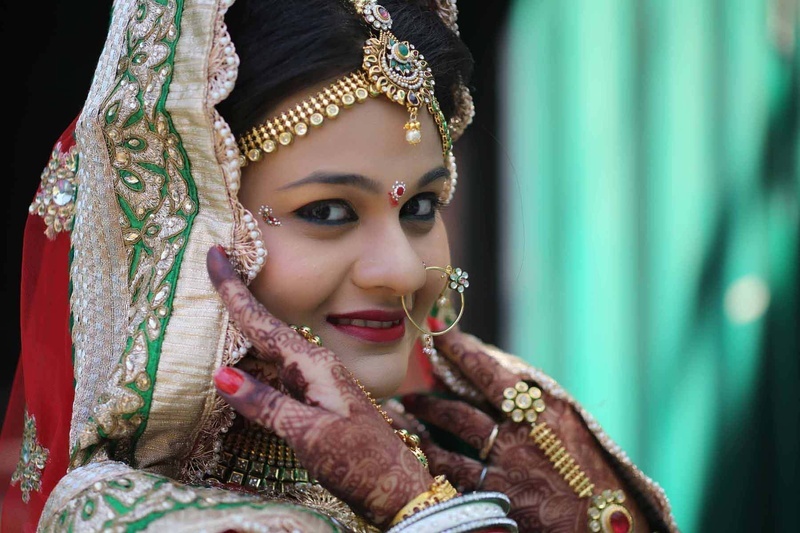 Every moment from this photoshoot was captured by Sachin Prakash, a very talented wedding photographer.